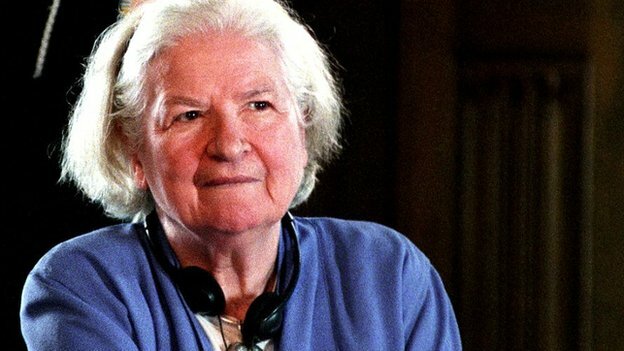 A few days ago, upon hearing of the death of the novelist PD James, I blogged about how inspiring I found aspects of her writing career and her approach to the craft. I also found a link to this: her ten tips for writing novels. I have mixed feelings about such lists of rules, tips or whatever you want to call them. On the one hand I’m always interested in hearing what others have to say on a subject of such importance to me – and especially when the opinions are of a writer I admire. On the other hand, you have to take such guidance as just that: read it, mull it over, and apply it (or not) according to what works for you. The rules are rarely (if ever) unbreakable. ‘You can’t teach someone to know how to use words effectively and beautifully. You can help people who can write to write more effectively and you can probably teach people a lot of little tips for writing a novel, but I don’t think somebody who cannot write and does not care for words can ever be made into a writer. It just is not possible. I don’t know how that strikes you, but to me it makes sense. I would never want to discourage anyone from writing – far from it (see #5 above) – but it probably is the case that some have more innate talent than others. Like James, I don’t think I could ever get very far as musician – or a football player, or a dancer, or a hundred other things – because I have something between limited and zero natural gifting for those things. The best I might become, with much hard graft and good teaching, would be an enthusiastic amateur able to give enjoyment to myself and maybe some others. And that’s great. But if I ever entertained serious dreams of playing for the London Philharmonic, turning out for Manchester United or pirouetting for the Bolshoi Ballet, then I fear I’d be in for a disappointment. Of course this is an over-simplification. There are many factors that contribute to how successful a writer might become, and almost as many ways that ‘success’ might be defined. And also we’re probably all unreliable judges of how much ‘talent’ we might have. If we have a passion to write then that’s what we should do, and in so doing we will do justice to whatever talent we do possess. I wonder what you think of James’s tips, and in particular on the role of natural gifting in our progress as writers? British novelist Phyllis Dorothy James died in Oxford today – 27th November – aged 94. Many tributes have already been paid to the ‘Queen of crime fiction’; for my part, I find many aspects of her writing journey extraordinarily inspiring. Let me share why. For one thing, her fame as a writer arrived late in her life. Very late actually. From her school days she knew she wanted to be a writer. But her family’s financial troubles forced her to leave school at 16 and find a job as a filing clerk. Also, her mother was committed to an asylum when James was 14, leaving her to look after the house and her siblings. All in all, not the easiest of early lives, and one that forced her to put her writing dream on hold. In fact it wasn’t until the mid-1950s, while in her mid-thirties, that she really began writing, composing parts of her first novel while on her work commute. But she didn’t make a serious start on that first novel until she was 40, while continuing to work full time and bring up a family. That novel was eventually published in 1962. There then followed a series of others (the second published just one year later) and so developed a modestly successful writing career with a small but loyal following. She had to put her writing dream on hold for many years – about twenty in fact. When she finally started, she was in her thirties and facing the time pressures of work and family. She was in her early forties before she was published. And she was sixty before she achieved significant commercial success – so probably forty or fifty years after she’d first thought about writing, more than twenty years after she finally started, and nearly twenty years after first being published. A success for sure, but not what you’d call an overnight one. Now if that’s not an object lesson in persistence and patience, I don’t know what is. But there’s more. Her husband, traumatised by his experiences in the Second World War, was eventually placed in an institution, leaving James to bring up their two daughters alone. Then In 1964 he died following an overdose of drugs and alcohol. So no sooner had she finally achieved her dream of being a published writer than life lobbed another grenade in her direction. But she carried on working and writing. Of course, the publishing world has changed massively since James first ventured into it, and is changing still. No doubt some things about her career would have been different had she been born fifty, sixty or seventy years later. Perhaps also she was fortunate in at least two ways. First, and most obviously, she did achieve success in the end. Yet I feel sure that would have happened anyway, even if she started out today, even if by a different route – her talent and dedication would have all but assured it. Maybe it would have happened more quickly, maybe not. Yet some might say that, by modern standards, twenty-ish books in a thirty-year-plus writing career is an unexceptional output. These days there is pressure to write almost with a production-line mentality: keep publishing, get your work out there, get noticed. The trade-off is that quality can easily suffer. That duly became the method she used to dispatch a character in a later book. I admit I’m not into crime fiction especially, but James did range beyond that at times, for example in the dystopian novel The Children of Men, and the recent Austen tribute / Pride and Prejudice sequel / murder mystery Death Comes To Pemberley. … and just to prove it, she said last year she was working on another book. 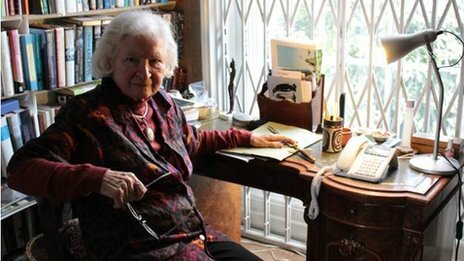 Which just goes to show you’re never too old to start writing – or to stop! The third daft of Danny Chaucer’s Flying Saucer is proceeding – well, I want to say at light speed but that would be exaggerating somewhat. Let’s just say it’s proceeding. As a result I’ve been posting here less frequently – the old story of more writing equals less blogging. Anyway I’ve fixed the main issues that were highlighted in the recent critiques / beta-reads. I say fixed. I’ve done something about them, but further time and review will hopefully establish how successful I’ve been. 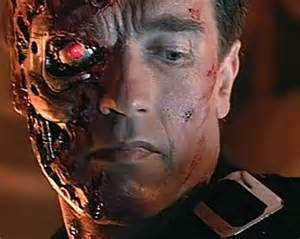 In particular I’ve cut down on the over-expository dialogue and ensured that the principal villain doesn’t just mysteriously disappear from the action two-thirds of the way through the action. And, speaking of action, there was the small matter of making sure there actually is some in the last third. However, one slightly surprising thing has already become apparent: the book’s got longer. You know the general rule that, as you redraft and edit a manuscript, it inevitably gets shorter as the flab is removed? The unnecessary scene, the superfluous character, those pesky adjectives and adverbs clogging up your silken prose? You might even say that ever-reducing word count is proof positive that your manuscript is heading in the right direction, i.e. 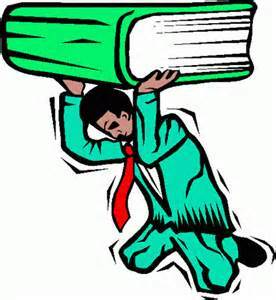 soaring up to fiction heaven rather than being dragged down to the other place by its own ponderous weight. Well in that case Danny’s flying saucer is dropping like a stone towards the underworld. Because whereas draft 2 weighed in at just under 27,000 words, draft 3 has so far rocketed to near 30,000. In other words, about a 10% increase. So what the flipping heck is going on? Have I gone start raving bonkers and forgotten how to edit? Do I entertain the delusion that my prose is so completely dazzling it cannot be touched? I think the reason lies in the nature of the problems that draft 2 had. As I’ve mentioned, one of its major faults – probably it’s most fundamental one – was the premature exit of the villainous Captain Frost. The result of which was a distinct shortage of plot in the supposed-to-be-climatic section of the book. So Danny and his friend Natalie voyaged into space and saw lots of amazing things. Lots of numbers and stats were thrown around to illustrate the vastness of the cosmos. But beyond that not much, like, happened. I mean, flying into outer space is quite an exciting event in itself (have you ever done it? Me neither), but in my book it became too much of a science lesson and less of a story. I needed to keep the wonder but add at least a dash of action to the mix as well. Therefore, the obvious solution: Captain Frost joins the voyage. Which means more dialogue, extra happenings, a bit more back story. I also have to explain how, having seen and experienced the flying saucer, the bad Captain is not ultimately able to carry forward her dastardly plans for it. Hence I have to solve a problem that I’d previously sought to avoid entirely by cutting her out before she’d ever even seen the saucer – which was a cop-out, I now confess, on a galactic scale. Of course, as I go through the next read-through, I probably will find the odd thing that needs re-writing, simplifying or cutting out. As a result, I believe draft 3 will end up a little bit shorter than it is now. But it will almost certainly still be longer than draft 2. 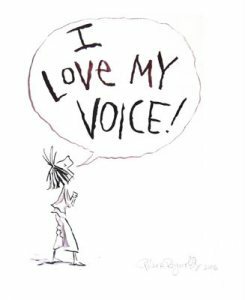 This is a great post about ‘voice’, which is one of the aspects of writing that I’ve struggled with the most – but I know it’s important and I’m always on the look-out for wisdom on the topic.